Avon is a brand that releases an entire array of fragrances each year. However, with people primarily purchasing these fragrances via brochures, it can be difficult to truly get an idea about what each of the scents are like. Also, let’s be honest, rubbing your wrist on a page can only take you so far on the journey of experiencing a perfume. I’ve decided to type up this post as a way of finding out a bit more information about some of the fragrances which I personally think are worth checking out. With such a wide choice to chose from it can be a little overwhelming, so hopefully what is featured here could help you to find a scent that you will enjoy! If you are interested in purchasing a fragrance from Avon and aren’t keen on “blind buying” or making a decision based upon what limited information can be featured on a page of a brochure, I highly recommend asking a rep for a sample. This enables you to get a feel for your chosen perfume and to make a more informed decision upon whether you really want to buy it. Luck is one of Avon’s new fragrances for 2014, with an advertising campaign featuring Maria Sharapova. As its name would suggest, Luck is the “key inspiration” for this fragrance. 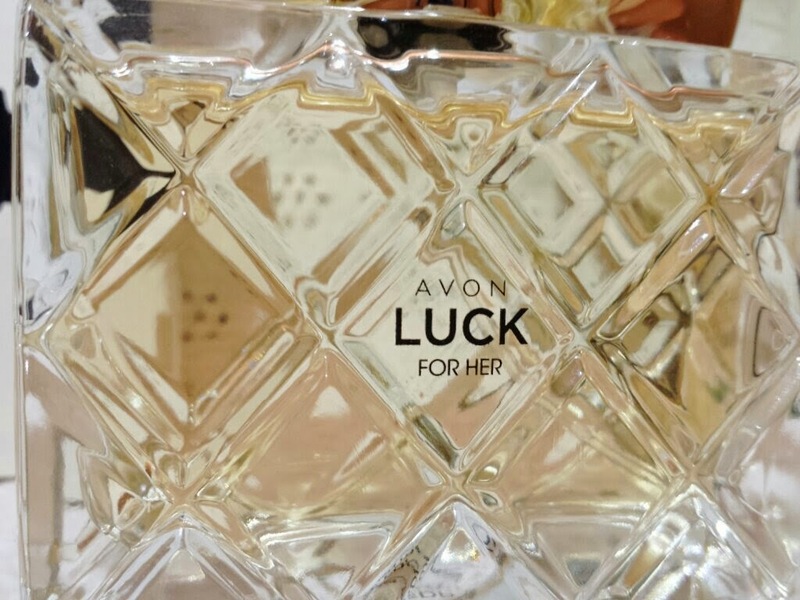 So what does Avon suggest that luck smells like? Well, according to them, it begins with an opening of red berries, mandarin and bergamot, followed by a heart of night blooming cereus (which has flowers that smell like vanilla) and white flowers followed by a base of sandalwood. It’s a scent that is very easy to love and just as easy to wear. The sillage is pretty good. You can smell it on a person as they walk by, and it strikes a pleasant reaction rather than a negative one. The longevity is great also, lasting all day. Upon first spray the fragrance is rather fruity. However, over time, this eases into a beautiful floral-vanilla type fragrance. I personally think that it is better suited to day time wear during the cooler months, but it could also be worn for a nice dinner outing, for example. It’s versatile, so there are numerous options for wear. As a side note: If you do buy this perfume, don't try to pull the bow when removing the cap. As much as it looks as if it should be part of the lid, it isn't. The cap is the small piece just above the bow. 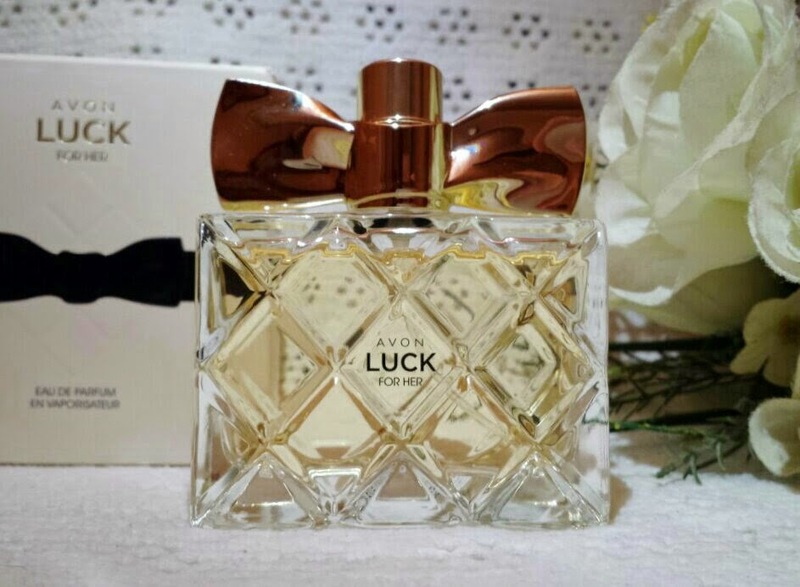 You can purchase a 50ml bottle of Luck from Avon for only £15, or check out an Avon brochure for current offers and free gift deals. 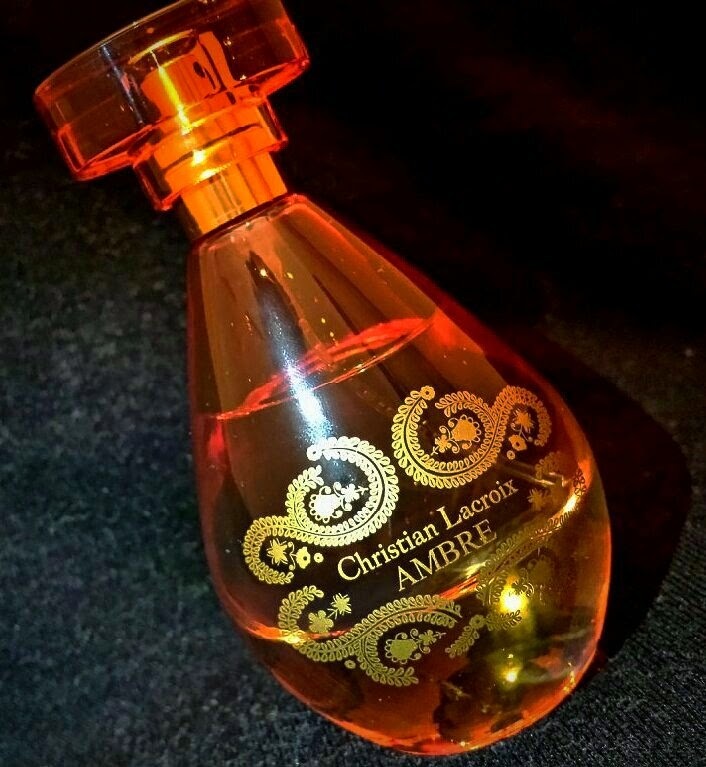 Another new release for Avon in 2014, Christian Lacroix Ambre is the newest fragrance by the designer to feature in the Avon brochures. With an opening of mandarin and red berries, it is almost the same as the opening to Luck. However, the heart of palisander rosewood, rose and jasmine and the base of amber and caramel quickly steer it in a completely different direction. The amber is very warming in this fragrance, and blended with the caramel, floral notes, woods and fruits give it a very autumnal vibe that makes you think of red and orange leaves and being wrapped up in a big, cosy scarf. It is a fragrance that can be worn during either the day or the night, so is quite versatile or transitional (from day to night). The longevity is roughly 5-6 hours, but can last longer if sprayed on clothes. The sillage though is dependant on how long it has been worn. For the first couple of hours it can be easily smelt from a few feet away, but over time it becomes far less noticeable, becoming only easy to pick up when stood next to somebody. One thing that I do have to say about this fragrance is that upon hearing the notes and the advertising behind it, you can easily expect it to be pretty heavy and ‘loud.’ However, this fragrance isn’t particularly either of those. It has a richness, but it isn’t heavy. 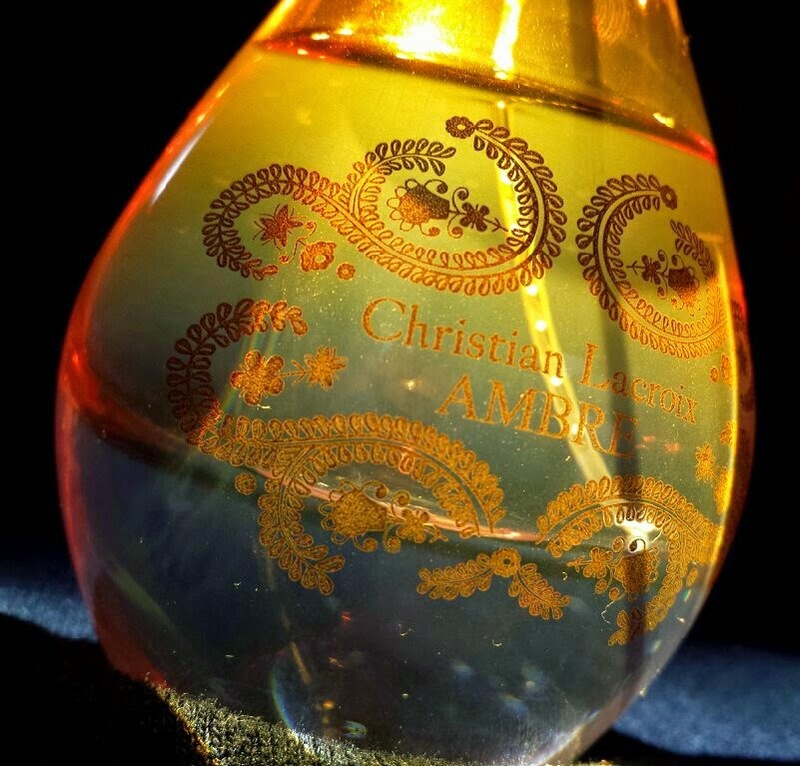 You can purchase a 50ml bottle of Christian Lacroix Ambre for £20, but at the time of writing it isn’t available online. You should be able to buy via your Avon rep.
Far Away is Avon’s most popular and best selling fragrance of all time. However, it is difficult for me to place it in this list without also mentioning Far Away Gold, the commemorative fragrance release to celebrate 20 years of Far Away. The original can be described as timeless, still being as popular today as it was at its release. The top notes feature coconut, orange, peach, ylang-ylang and karo-karounde. The heart combines rose, violet, osmanthus, gardenia, freesia and jasmine whilst the base contains amber, vanilla, sandalwood and musk. 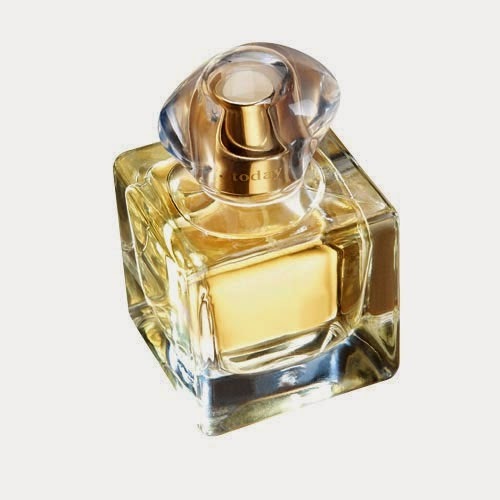 Overall, however, the most noticeable note throughout the composition is vanilla, followed by an exotic mix of coconut, amber, flowers and fruits. It's understandable why this perfume takes the name "Far Away,” but even still, it has the familiarity and warmth of something close. Close can possibly be distinguished as being easily recognisable. You may know somebody who used to wear this scent whilst you were still a child or you may have worn this back in the day. Either way, Far Away seems to carry those nostalgic elements that can provoke differing emotions for every person. Far Away Gold is the 2014 release to celebrate the success of Far Away over the last 20 years, posing a lot of similarities but enough differences to be more appealing to those who aren’t necessarily a fan of the original. It includes notes of peach, vanilla, amber, coconut, orange, jasmine and ylang-ylang. Even though out of the flanker editions of Far Away, Gold is by far the closest to the original and when compared to the original, it seems a lot richer and creamier, but is less overwhelming. I also think that it is easier to enjoy, so therefore is a safer bet if being purchased for a gift. You can purchase a full size 50ml bottle of Far Away from Avon for £13 and a 50ml bottle of Far Away Gold also for £13. Alternatively, you can order a bottle through your Avon rep. 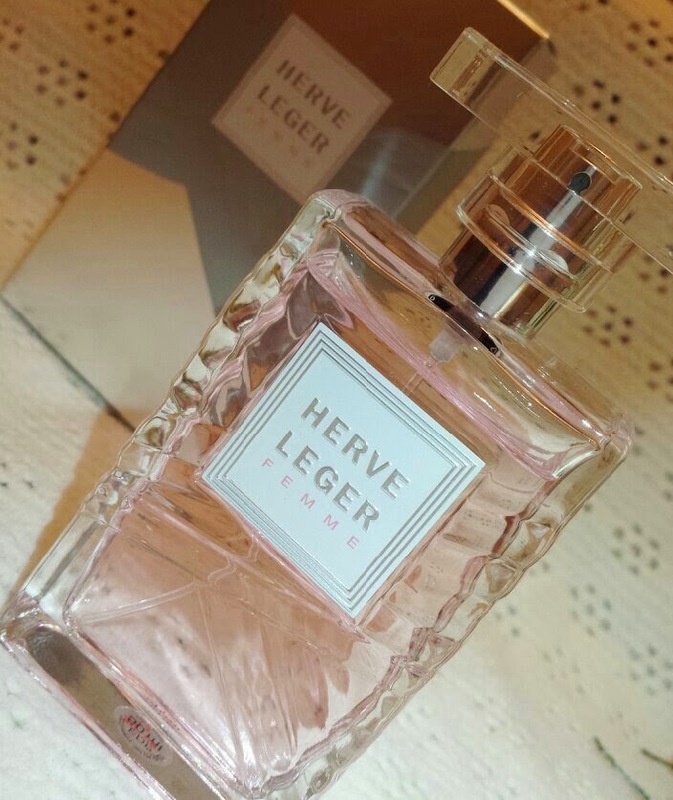 This is a fantastic fragrance for those who aren’t overly keen on fruity-floral perfumes, or for those who want to try something new. Femme features top notes of cardamom, pink grapefruit and magnolia, a heart of woods, honey, orange blossom and cedar and a base consisting of cypress, incense and vanilla. Overall, the fragrance is very woody but still quite floral and fresh. It’s sensual and radiates the sort of femininity that states that a woman is comfortable within her own skin. It isn’t a sillage monster either, so if you are trying something new then this is fantastic as it sits close to the skin. Think along the lines of Prada’s Infusion d’Iris; subtle and delicate, more of a skin perfume rather than a room filler. The longevity is pretty good too, lasting a large majority of the day without the need for re-application. This is the type of fragrance that is best suited to the days where it is beginning to get warmer, or in other words, around Springtime. 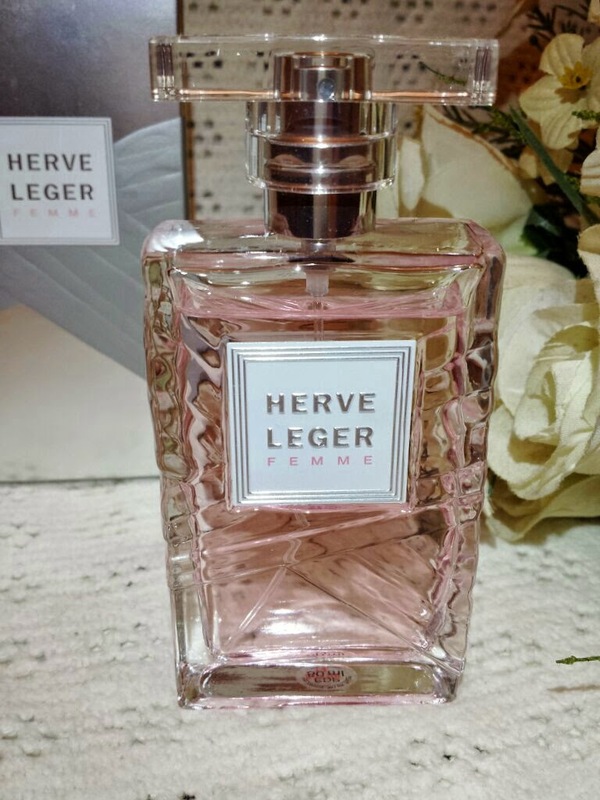 At the time of writing you can purchase a full size, 50ml bottle of Herve Leger Femme for £12 from the original price of £20 from Avon. You can also order it through your Avon rep.
Today is described as a “feminine floral” that features tropical florals, musk and woods. It is part of a collection of fragrances that were originally a trilogy aimed to celebrate love, called Today, Tomorrow, Always. Since the trilogy, a number of other fragrances tied to the collection have been released that follow the style and theme of the originals. The top notes feature freesia, cactus sap and stephanotis, the heart contains tuberose, buddleia, hibiscus, orange blossom and strelitzia (bird of paradise) whilst the base contains rosewater, musk, cedar and woody notes. The longevity of Today is average/above average coming in between 6-8hrs, and the sillage can be huge for some, but I think this is down to how much is applied. You can purchase a full size, 50ml bottle of Today from Avon for £14. You can also order from your brochure through your Avon rep.
City Rush is primarily dominated by the plum note which is featured in the top of the formulation along with ivy and bergamot. Dahlia, rose and vanilla orchid make up the heart of the fragrance whilst the base brings in wood notes along with musk and patchouli. Along with the plum, I can personally smell the patchouli and wood notes quite easily. All together it creates a good balance, not too floral, not too fruity, not too woody. It is the type of fragrance that is better suited to the colder weather, but can be pulled off during the Summer. It’s also quite subtle and it suitable for daytime office use, for example. The longevity of City Rush is also pretty fantastic, lasting somewhere between 6-8hrs, and this is only extended with the addition of the body moisturiser. To me though, the main thing that let’s City Rush down is the bottle design. I don’t know why, but personally it’s just not my cup of tea. Something about it just doesn’t seem to fit the fragrance either. It’s hard to explain, but if you smell it then you may feel the same way that I do. The most important thing though is that the juice inside smells nice! 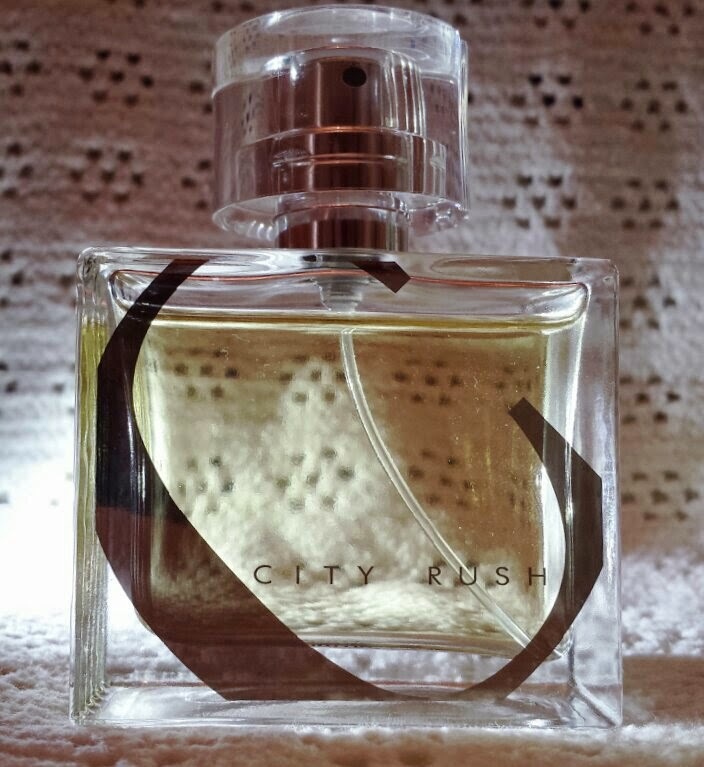 You can purchase a full size, 50ml bottle of City Rush from Avon for £15. You can also check out a brochure for the latest offers and order through your rep.
Femme seems to be a love/hate type of fragrance, but I’m still going to add it onto this list because I think that there are a lot of people who will enjoy it. 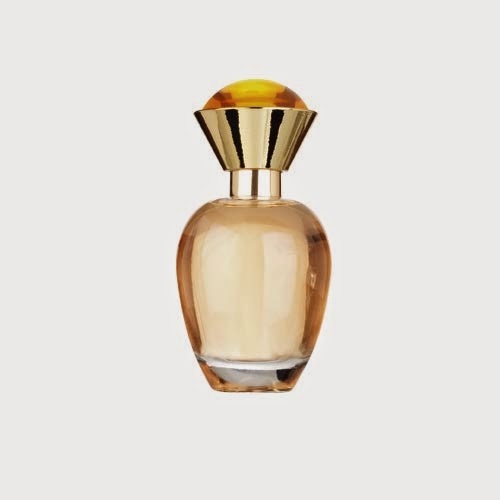 The nose behind this perfume is Harry Fremont, also known for Calvin Klein’s CK One, Vera Wang’s Princess, Ralph Lauren’s Romance, Lancome’s Miracle and Juicy Couture’s Juicy Couture. For those who love fruity florals, you are more likely to enjoy this scent. The top notes of Femme are violet, grapefruit and plum. The heart contains wild orchid, jasmine and magnolia whilst the base is made up of peach, woods, amber and musk. Upon first spray, to me, grapefruit dominates the composition. After a few minutes the florals begin to seep through. In regards to similarities, I’m instantly drawn to say DKNY’s Be Delicious. I think that’s down to the similar notes - grapefruit, magnolia, woods, amber and violet. I really think that if you aren’t a fan of Be Delicious then you probably won’t like this, either. The sillage is average, being easily picked up when stood next to somebody, but it doesn’t fill up a room. The longevity however isn’t the best, so does acquire a couple of re-applications throughout the day. 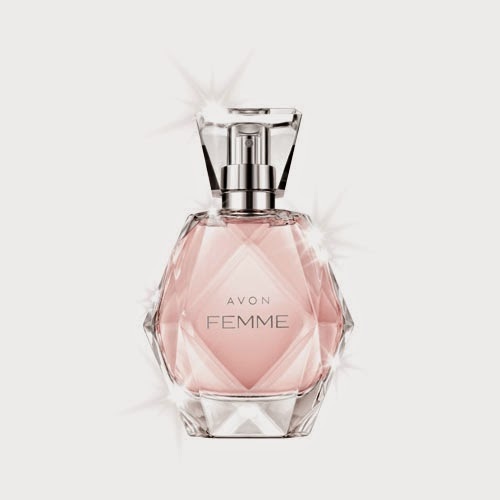 You can purchase a full size, 50ml bottle of Femme from Avon for £16. You can also check out your brochure from your Avon rep for gift set offers for Christmas. Rare Gold is the type of perfume that lives up to its name. Gold is a great word to describe it and its overall warming amber, floral, peachy, vanilla mix. I also pick up on a honey type of smell, but it doesn’t seem to be a listed note. 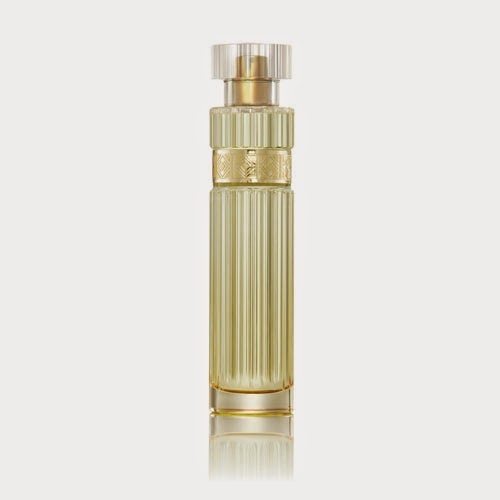 The top notes include ylang-ylang, bergamot, peach and mandarin, the heart consists of tuberose, orange blossom, gardenia, jasmine, aldehydes and lily-of-the-valley and the base is made up of vanilla woods, musk, amber and sandalwood. It’s a great sort of fragrance to brighten and heat up a cold day. You can purchase a full size, 50ml bottle of Rare Gold for £13 from Avon. Alternatively you can purchase a bottle through your Avon rep. This is an example of a fragrance that smells far more expensive than it actually costs. Premiere Luxe is described as a fruity floral gourmand, featuring fruity top notes of blackcurrant, pomegranate and grapefruit, a floral heart of magnolia, jasmine and gardenia and a base of praline, patchouli and sandalwood. Overall, to me, the most noticeable notes are the praline, jasmine and blackcurrant. Some people compare this fragrance to Chanel’s Coco Mademoiselle and Lancome’s La Vie Est Belle, but even though I can vaguely see the similarities (the patchouli and citrus for Coco, the sweetness for La Vie), I don’t think that it smells overly too much like either. It stands alone with its own personality. In a different way, I can see another sort of similarity. Coco Mademoiselle and La Vie Est Belle are fragrances that ooze that “top quality” feel, and Premiere Luxe is of that calibre for Avon scents. To try and put it another way, when compared to Avon’s full range of fragrances, something about Premiere Luxe just smells of much higher quality than the others. It is a fantastic choice if you are planning on purchasing a gift set for somebody this Christmas. You can purchase a full size, 50ml bottle of Premiere Luxe from Avon and at the time of writing it is on special offer to £10 from £16. You can also check out an Avon brochure for gift set offers. What are your favourite Avon perfumes? Are there any others that you would add to the list?